A couple of years ago, I wrote about Harvey Mudd College math professor Francis Su, who had just been elected the 55th president of the Mathematical Association of America, the largest professional society that focuses on mathematics at the undergraduate level. It is worth noting that he is the first Asian American and first person of color to serve as president of MAA in its century-old history. 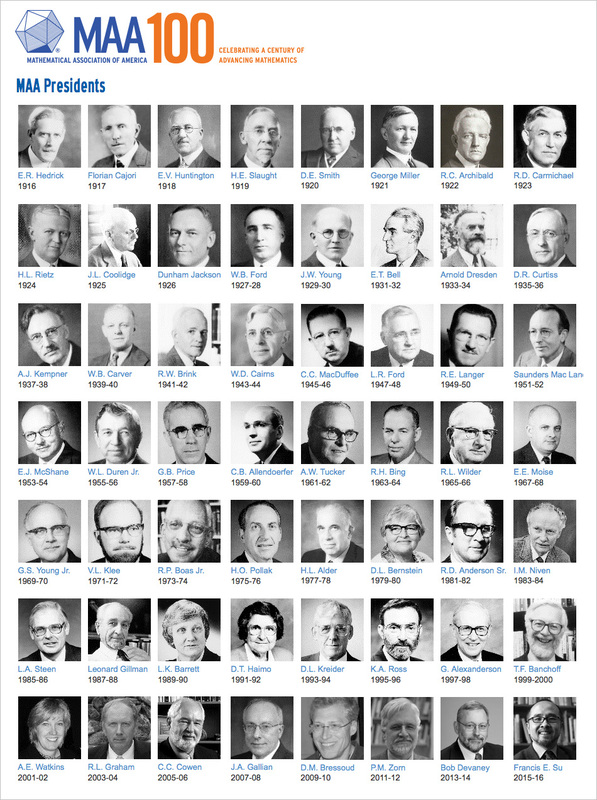 While researching that post, I came across this long list of past Presidents on the MAA website. They had not yet updated the site with Professor Su's photo, so it was pretty striking just how uniformly white it was. Like one hundred years of one hundred percent mathematical presidential whiteness. 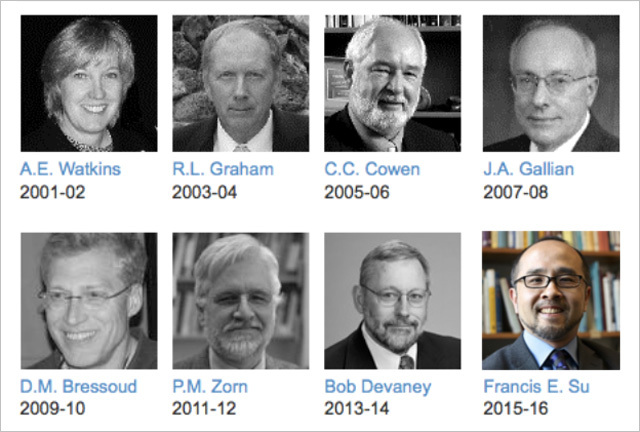 I don't why I suddenly remembered that fabulously Caucasian math list today, but it prompted to me to revisit the MAA website to see if Professor Su was on it. He is. And he looks awesome.